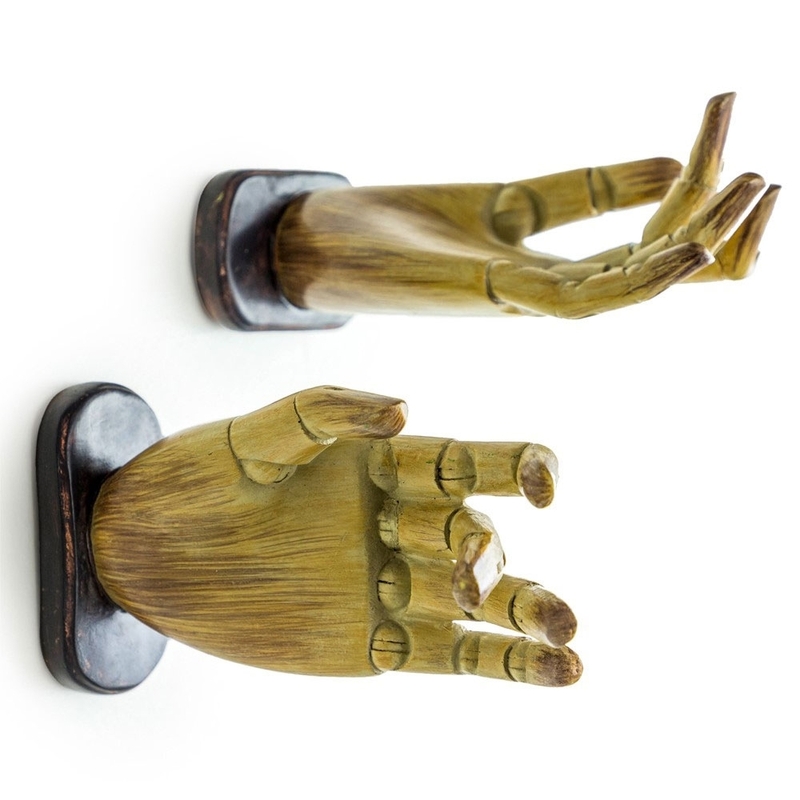 Add a touch of intrigue to your hallway with this Set of 4 "Helping Hands" Rustic Wood Effect Wall Hooks, ideal for hanging up your coats, jackets, bags, hats and scarves. The rustic wood effect, puppet hand-like design would be perfectly suited to both vintage and contemporary interiors for a quirky detail. Use them on their own or combine with other hooks to create a truly unique look.